Sigma MC-21 Mount Converter Announced ! Along with development announcement of 11 new Art prime L-mount lenses, Sigma today also announced mount converter MC-21 for EF/SA mount to L-mount. 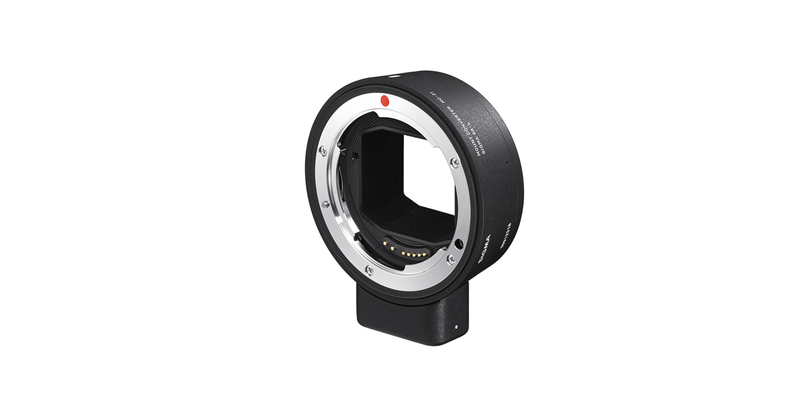 The SIGMA MOUNT CONVERTER MC-21 allows SIGMA SA mount and SIGMA’s CANON EF mount interchangeable lens owners to use their lens investment on L-Mount camera bodies. 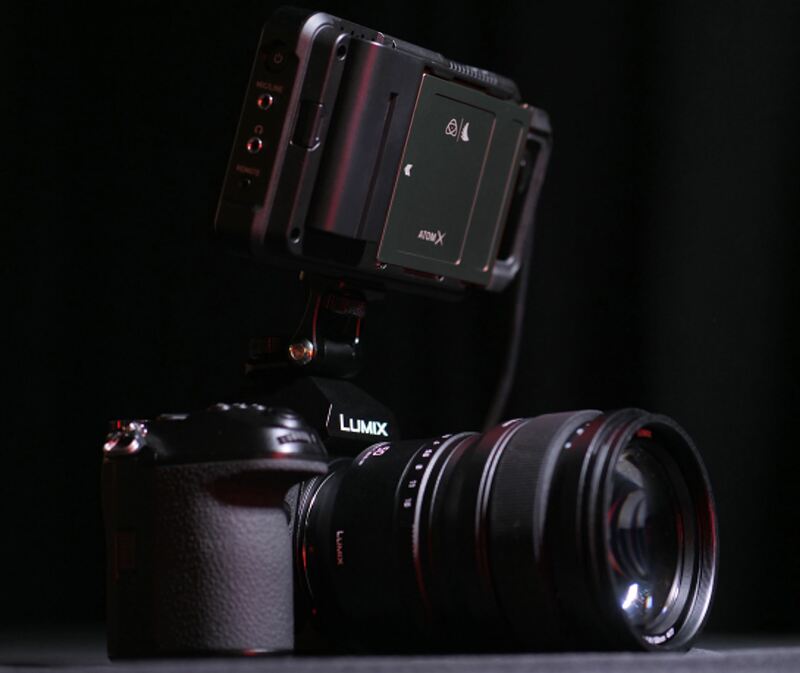 The converter allows more freedom of choice for L-Mount cameras from SIGMA, Leica Camera and Panasonic, enhancing the extensibility of the L-Mount system. Author adminPosted on February 26, 2019 Categories Lens MountTags Sigma MC-21 Mount ConverterLeave a comment on Sigma MC-21 Mount Converter Announced ! 11 Sigma Art Prime L-Mount Lenses Announced ! 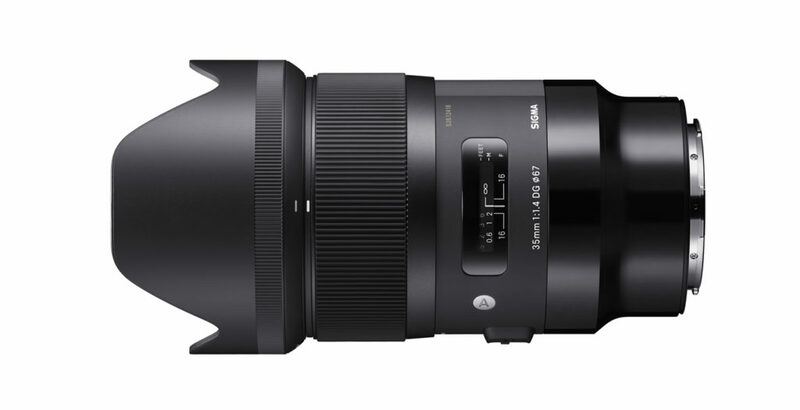 Sigma today has officially announced 11 new Art series L-mount prime lenses. These L-Mount series lenses have achieved high-speed AF and are fully compatible with AF-C mode, in-camera image stabilization, and in-camera aberration correction. The lineup will consist of 11 prime lenses for full-frame cameras from SIGMA’s Art line covering from 14mm to 135mm currently available in other mounts, allowing the Art line, which pursues the highest performance, to be enjoyed on L-Mount cameras. Author adminPosted on February 26, 2019 Categories Lens Mount, Sigma L-mount LensTags Sigma 105mm f/1.4 DG HSM | Art L-mount Lens, Sigma 135mm f/1.8 DG HSM | Art L-mount Lens, Sigma 14mm f/1.8 DG HSM | Art L-mount Lens, Sigma 20mm f/1.4 DG HSM | Art L-mount Lens, Sigma 24mm f/1.4 DG HSM | Art L-mount Lens, Sigma 28mm f/1.4 DG HSM | Art L-mount Lens, Sigma 35mm f/1.4 DG HSM | Art L-mount Lens, Sigma 40mm f/1.4 DG HSM | Art L-mount Lens, Sigma 50mm f/1.4 DG HSM | Art L-mount Lens, Sigma 70mm f/2.8 DG Macro | Art L-mount Lens, Sigma 85mm f/1.4 DG HSM | Art L-mount Lens, Sigma L-mount LensLeave a comment on 11 Sigma Art Prime L-Mount Lenses Announced ! 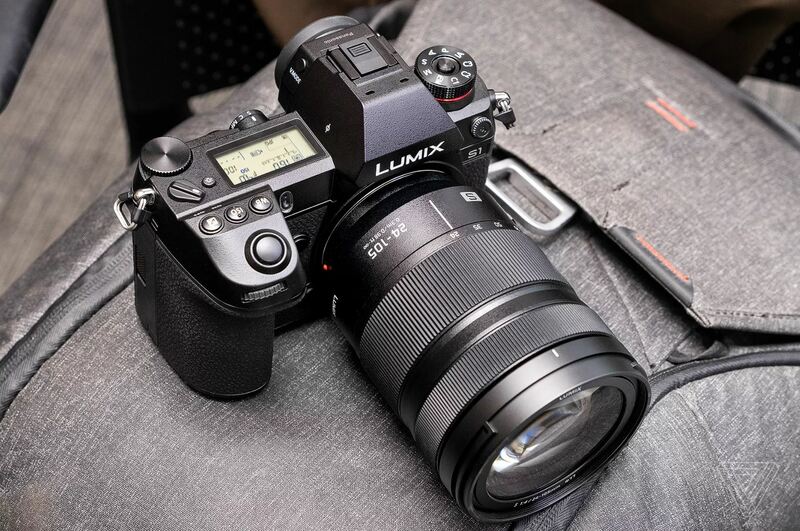 Panasonic Japan has released the monthly production rate of new announced Panasonic Lumix S1 & S1R full frame mirrorless cameras and Lumix S lenses. Jordan at dpreview has posted the first hands-on preview of new announced Panasonic Lumix S1R (B&H Photo Video/Adorama/Amazon). Atomos announced their Ninja V and Inferno monitor/recorders will support 4K (3840×2160) 10-bit 422 HDR from the Panasonic Lumix S1 (B&H Photo Video/Adorama/Amazon) when it starts shipping. Panasonic has officially announced LUMIX S L-mount lens roadmap today. 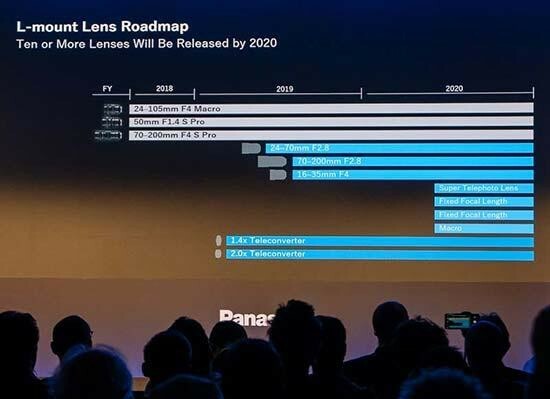 In addition to S Pro 50mm f/1.4, S 24-105mm f/4 Macro OIS, S Pro 70-200mm f/4 OIS that have already been announced today, Panasonic will launch 3 more new lenses in 2019 – a 24-70mm f/2.8, 70-200mm f/2.8 and 16-35mm f/4 – plus 1.4x and 2x teleconverters. There will be 10 lenses by the end of 2020. 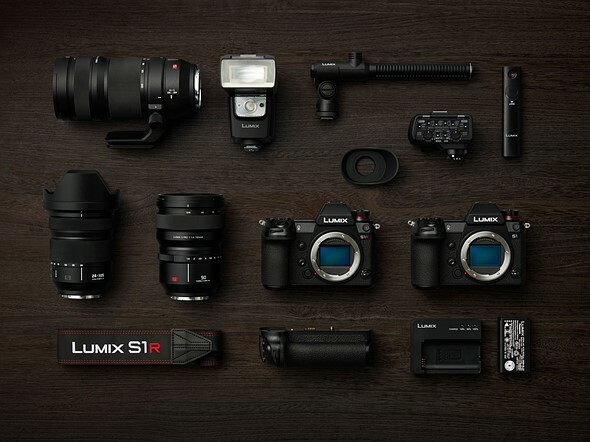 Pre-order Now: Panasonic S1 & S1R & LUMIX S Lenses ! Author adminPosted on February 1, 2019 February 17, 2019 Categories Panasonic S SeriesTags Panasonic LUMIX S 24-105mm f/4L Macro OIS Lens, Panasonic LUMIX S PRO 50mm f/1.4 Lens, Panasonic LUMIX S PRO 70-200mm f/4 OIS Lens, Panasonic S1 Deals & Cheapest Price, Panasonic S1R Deals & Cheapest Price, Pre-order, PriceLeave a comment on Pre-order Now: Panasonic S1 & S1R & LUMIX S Lenses ! The official introduction trailer videos of Panasonic Lumix S1 and S1R now leaked online. Official announcement will be at 6:00 AM ET New York Time.